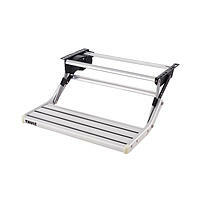 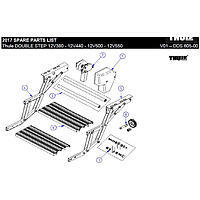 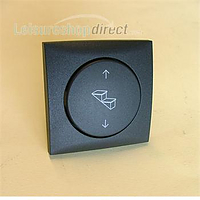 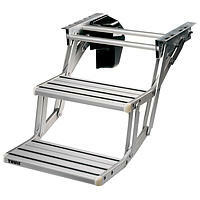 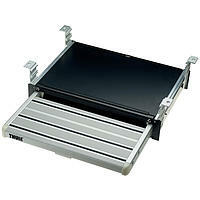 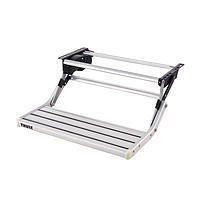 Thule quality 12V electrically operated slide out step. 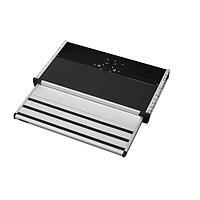 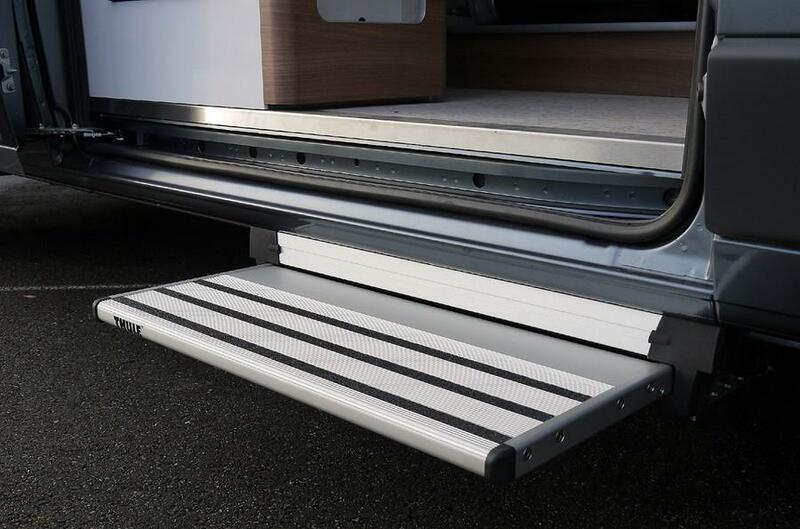 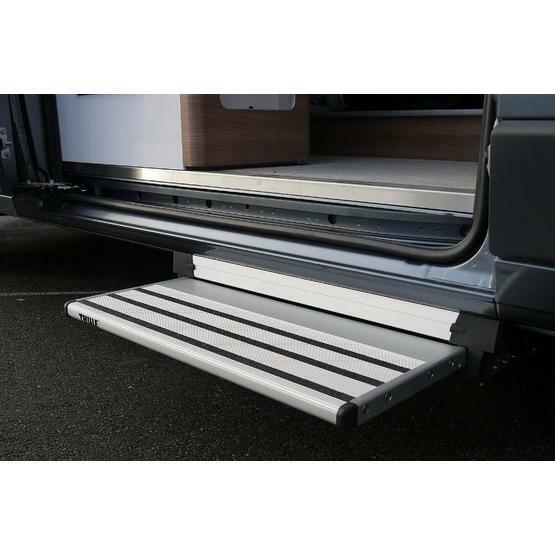 The step is 407mm wide with an anodised aluminium step and aluminium side plates. 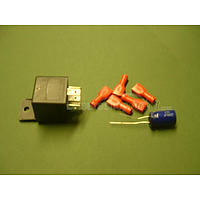 For safety the step edges are rounded and fluorescent in the dark, and the step plate is anti-slip ribbed profile. 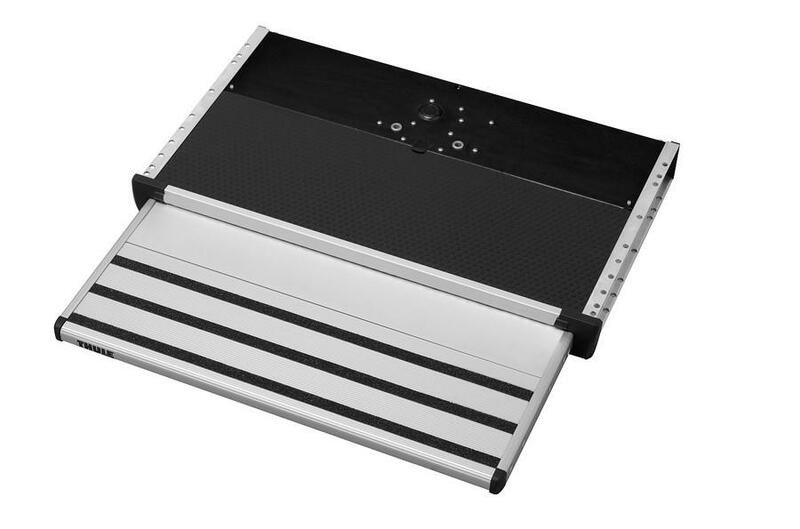 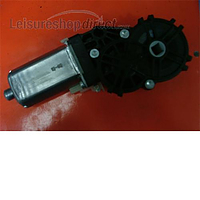 Bearing surfaces are maintenance free.